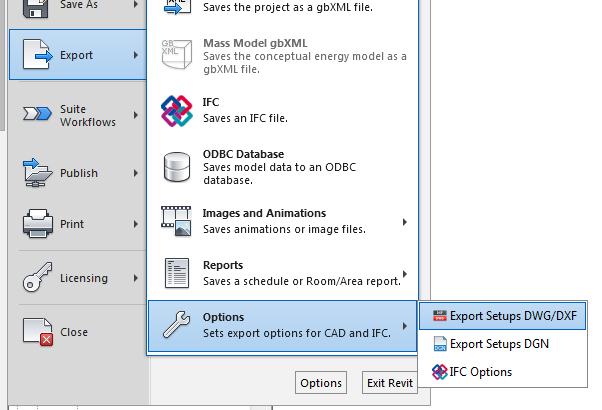 If you are working closely with any discipline that is still using AutoCAD, you will need to export your Revit file to dwg relatively frequently. 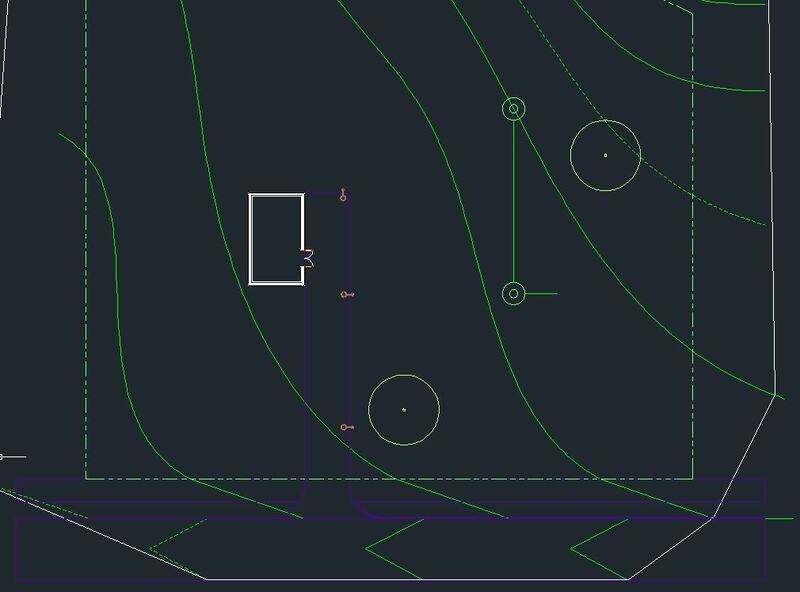 If you want your dwg export to look like a typical AutoCAD file, the DWG Export Setups will require a bit of tweaking. There are also a few basic settings that when done correctly, will save you time. 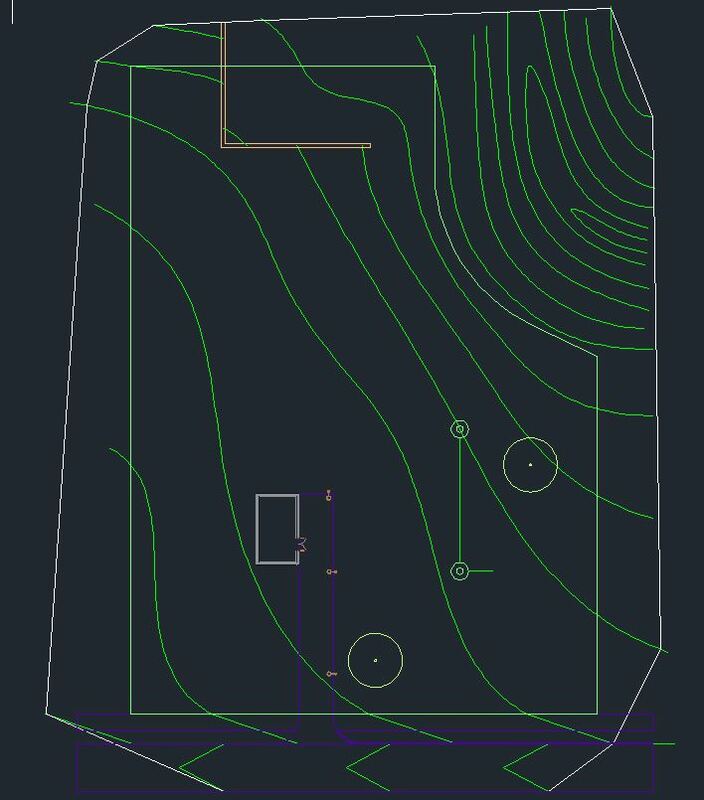 For reference, here is what a site plan looks like when exported with the default settings (from the Architectural template). And these are the layers that it is generating. It’s not terrible, but it probably doesn’t meet most standards. So, the setup Options are at the very bottom of Export, in the main menu. The dialogue box has several different tabs across the top. Layers is the most intensive of the tabs, but it is a good idea to check all of the settings. Starting on the far right, with General, most of the default settings are fine, except under the Default export options. Both of these options ca n be modified every time you export, but these will be the default. “Export views on sheets and links…” will make multiple files as linked xrefs, so I prefer to un-check that. You can also set the default file format. Units & Coordinates is another important tab. 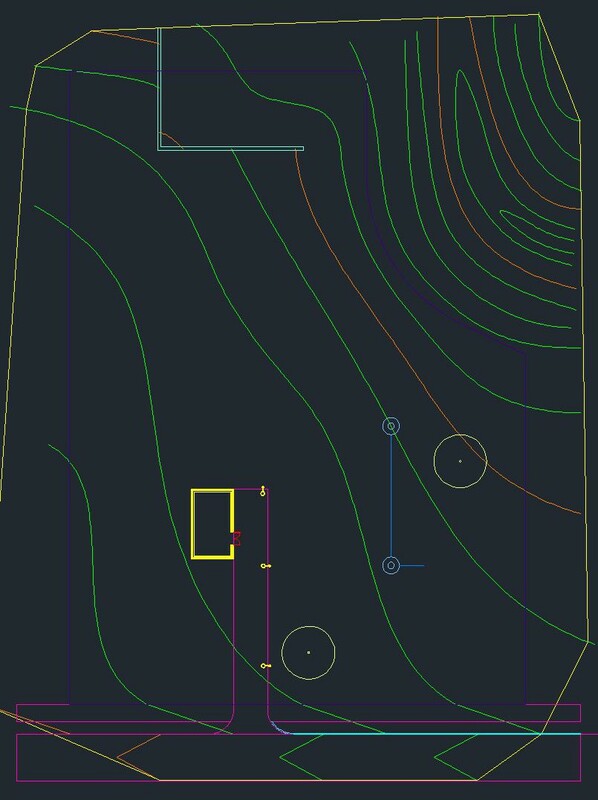 If you want your file to automatically be located correctly in AutoCAD, be sure to Specify Coordinates at the Survey Point and then set Coordinate system basis to Shared. DWG unit is also critical; in the US it is the Foot. Solids and Colors I usually leave on the defaults: Polymesh and Index colors. Text & Fonts, Patterns, and Lines all re-map Revit versions to AutoCAD versions. Typically, the automatic map works fine, but they are simple to re-map if needed. The first one is the default. It exports everything by layer and any overrides that you might have applied to the view you are exporting (the major contours have a dash override). The second one ignores any view-specific overrides, so now the major contour lines are not dashed. Notice that it also treats the building link differently, since links are considered a type of override. In the first, the Wall lines are overridden White, but in the second option that override is ignored and they are the color specified for A-WALL. The third option is graphically identical to the first option, but it also creates more layers. More layers is not necessarily a good thing and it seems a little excessive, particularly for how little is on this site plan. So, I would recommend using the first or second option. Now the final part of Layers is modifying the Layers and Color IDs. You can Load layers from standard as a starting point, but you will still need to modify them manually. Also, this is where you will want to have some custom Subcategories, especially under Site. This can be helpful, but if you are not aware of it you will get some unexpected results in you dwg export. 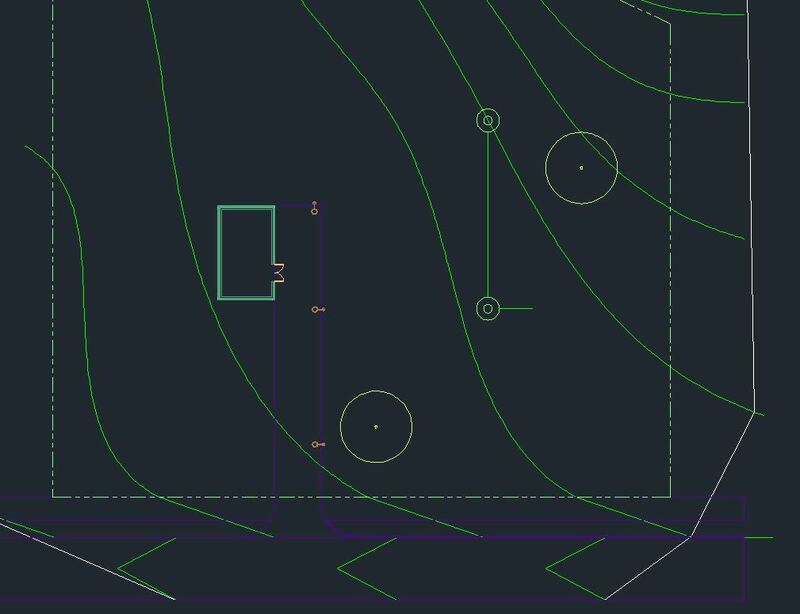 So after some work, you can get your dwg export to match your standards. It almost looks like native AutoCAD linework. Great blog! I follow it with feedly. When I export with second option I got best layers result, but I lost linetypes, like grid line (all becomes solid). Any idea? Most likely, it is the ltscale (linetype scale) that is making them look solid (try changing ltscale to 40). Check your Layer Properties and if they are not Continuous it is just the ltscale. 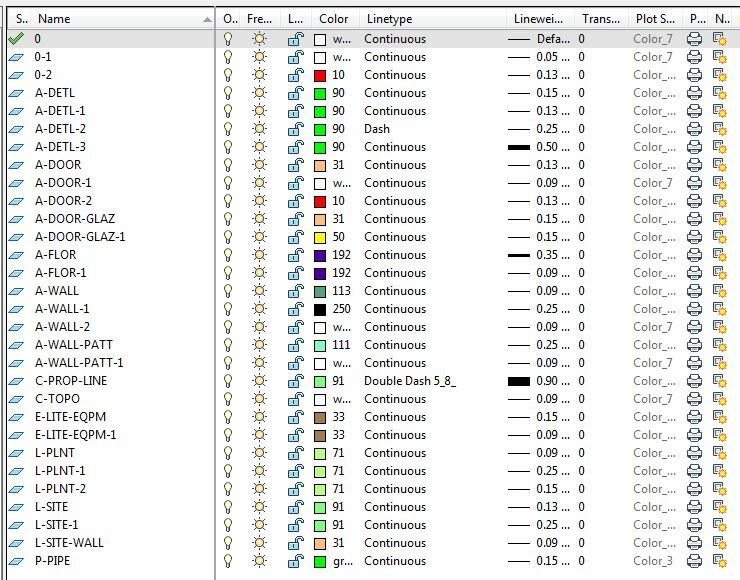 If they are Continuous, then they are not mapping/ generating correctly from Revit.